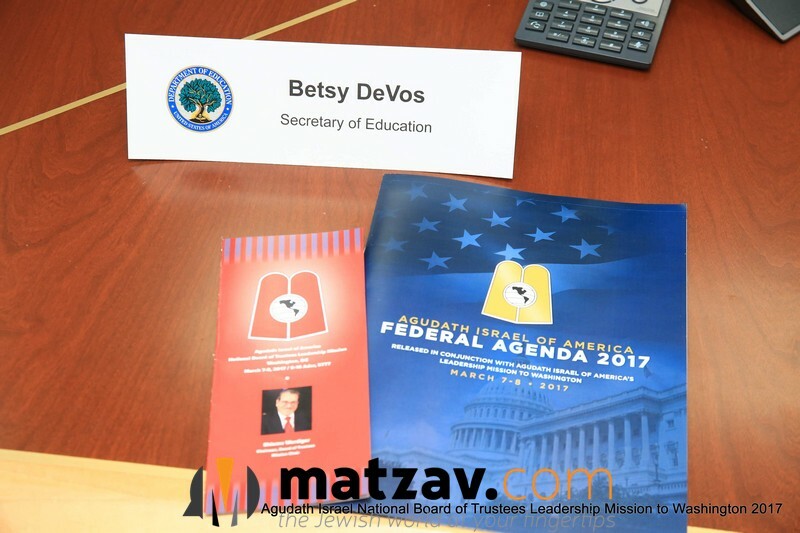 On Wednesday morning, March 8th, Agudath Israel of America’s leadership mission to Washington began the day with a unique and memorable meeting with a longtime friend of the organization, U. S. Secretary of Education Betsy DeVos. 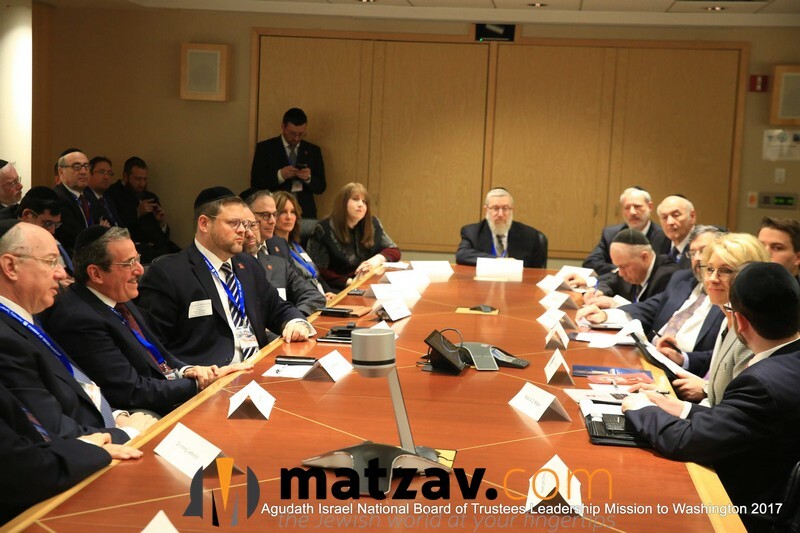 Secretary DeVos demonstrated that she was very familiar with the people and policies of Agudath Israel and many participants pointed to that meeting as the highlight of their visit to the nation’s capital. 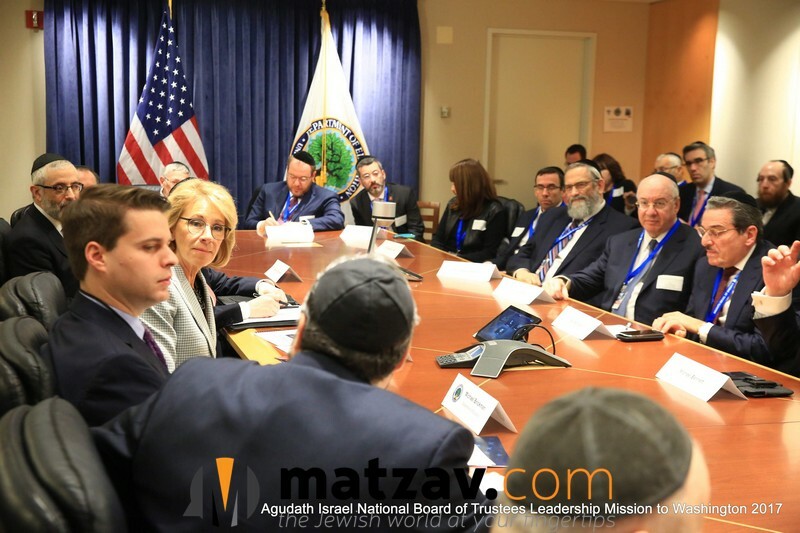 Rather than delivering a speech, Secretary DeVos engaged in a wide-ranging conversation with the group on topics such as school choice, special education, security, and the unique higher education issues faced by rabbinical colleges. Throughout the discussion, Secretary DeVos listened intently, asked pertinent questions and expressed her commitment to focus on policies that best serve students. 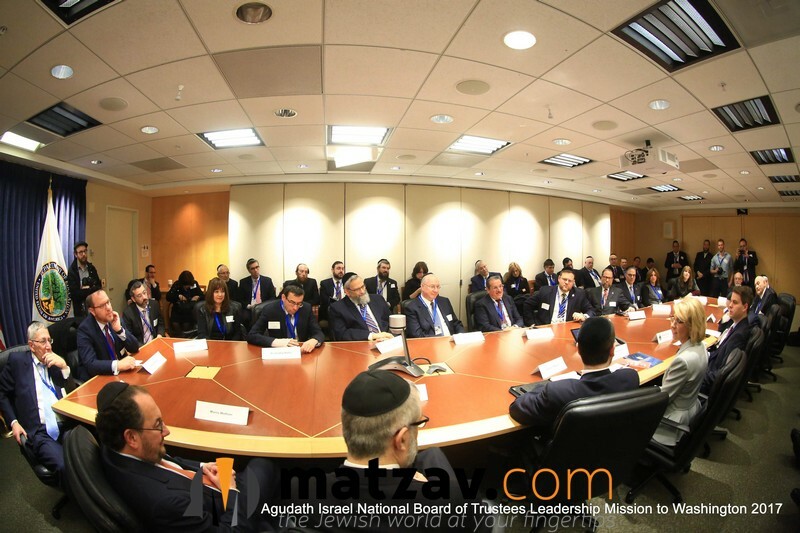 “I was very encouraged by her genuine interest in understanding the issues we raised and her commitment to taking our concerns into account when developing policy,” reflected the chairman of Agudath Israel of California, Dr. Irving Lebovics, who brought up issues related to students with special needs. 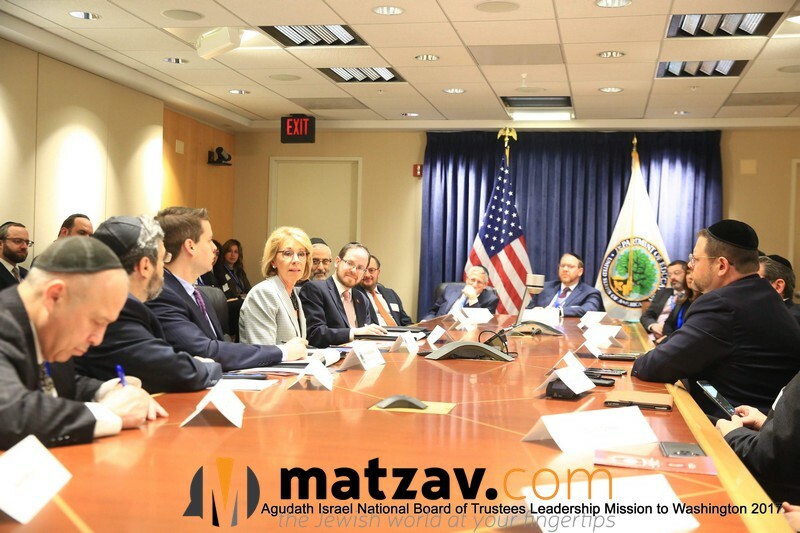 Secretary DeVos was thanked by Agudath Israel’s national director of state relations, Rabbi A. D. Motzen, for her leadership role in the hundreds of millions of scholarship dollars currently going to students attending the private school of their choice in more than twenty five states. 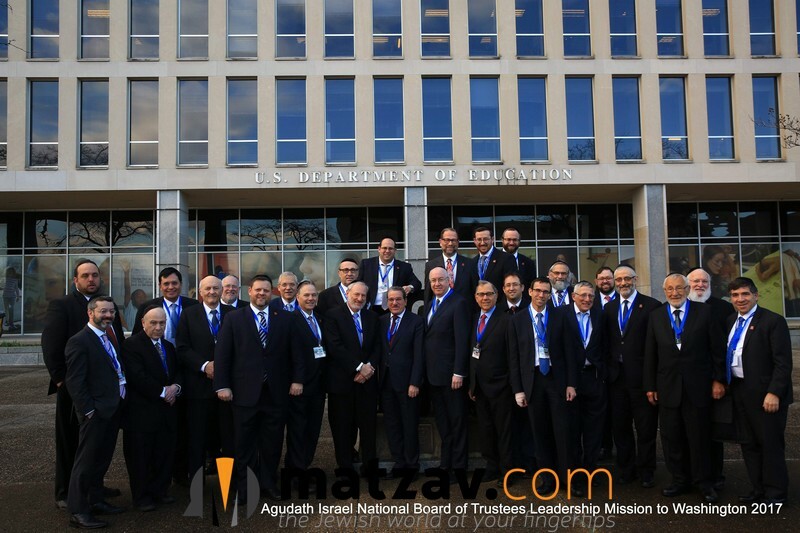 Agudath Israel’s leadership expressed its strong support of President Trump’s pledge to provide $20 billion for school choice and offered to work with the administration and Congress to enact a meaningful program. 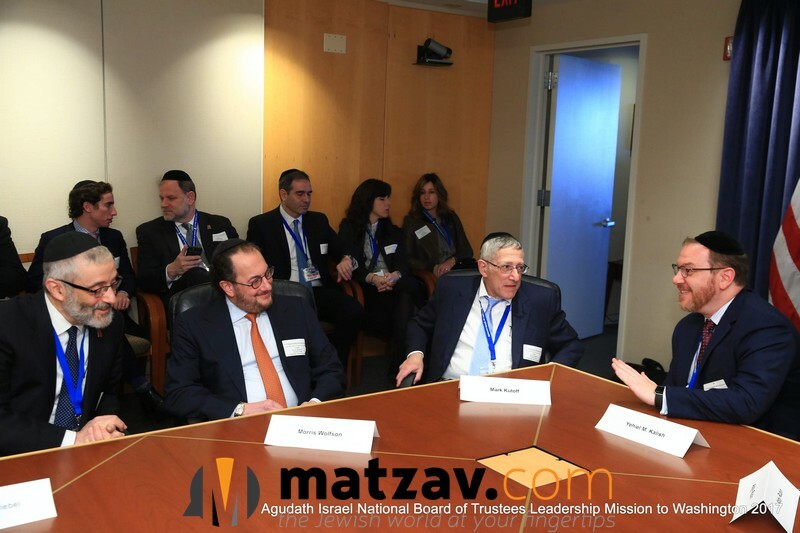 “I applaud Agudath Israel for their commitment to and leadership in providing their community with access to educational options that meet the academic and religious needs of their families. 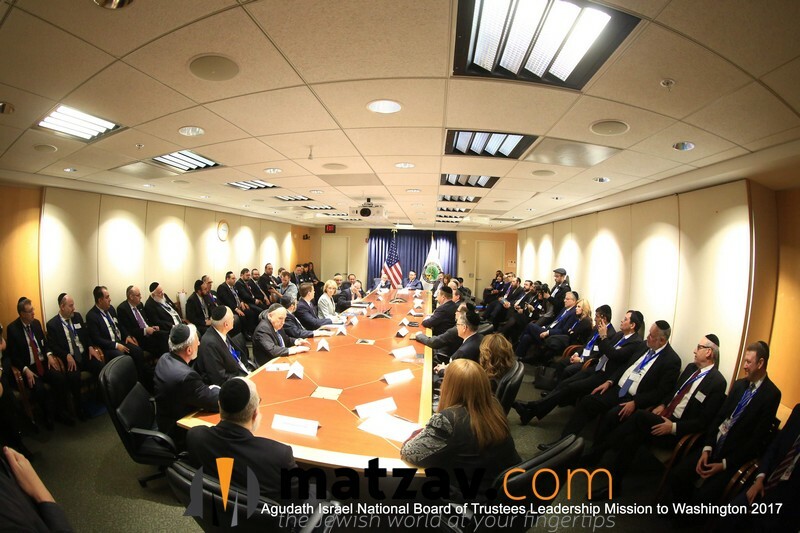 Agudath is a terrific partner and advocate for their families, and I welcomed today’s discussion. 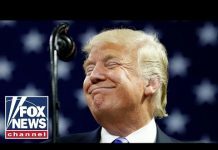 As important as explaining our agenda is also explaining the immediate need to remove the Obuma’s agenda of sneaking in the study and promotion of the teaching of Islam in the Public School systems. 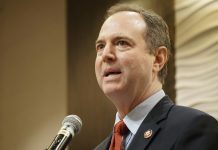 Not only does it cross the line of Church and State, it crosses the border of respect each individual’s child’s religious beliefs whether they are Jewish, Christian, Hindu, etc. If the same attention is NOT given to other religions, which Public Schools should NOT be doing and parents should be arranging religious study and training outside the arena of the Public School systems, then Islam should be banned from being taught in Public Schools immediately!!! 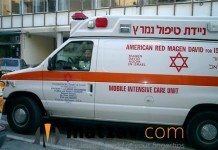 And while the Agudah had her ear, they should have made that point. Every religious organization and every parent association should be making this point with Ms. DeVos.